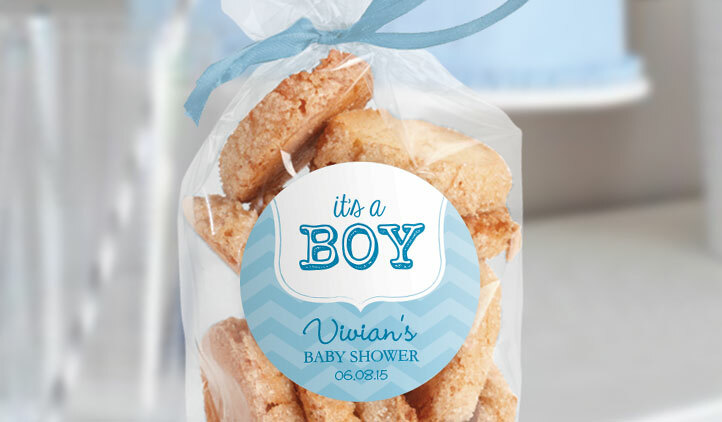 Whether it’s a birthday, baby shower, bridal shower, wedding or tea party, you can make your own favor tags! 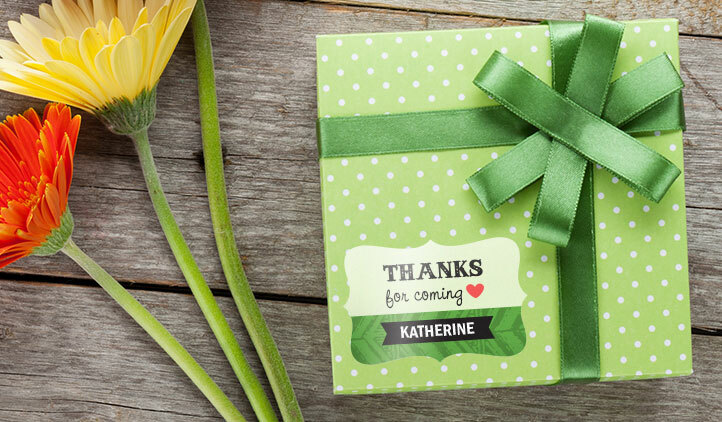 A great way to thank guests for coming, to display treats at the party, or make tags for a unique invitation for guests. 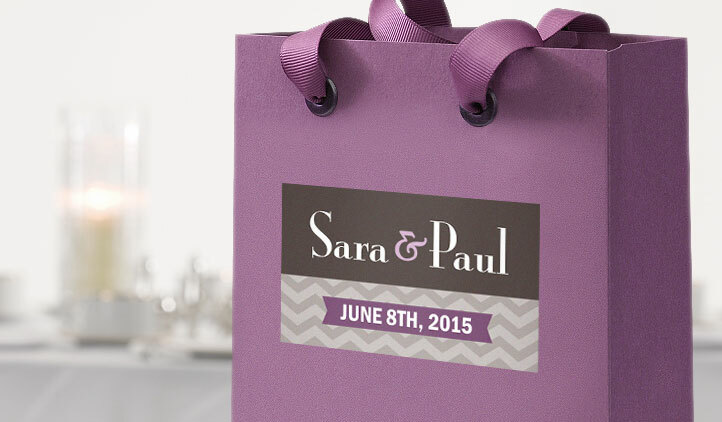 Design your own custom favor tags in the event’s colors and themes. Make your own favor tags for your next big event! From charity events, bridal showers, kids’ birthday parties, or a wedding, everyone loves those party favors that are always a fun addition for guests. For all the personalized candy, toys, baked goods, and all kinds of party favors, you can make tags to fit all of them. Make favor tags for personalized wedding gifts, to add that special touch, or thank guests for coming to your charity event with a little gift bag. 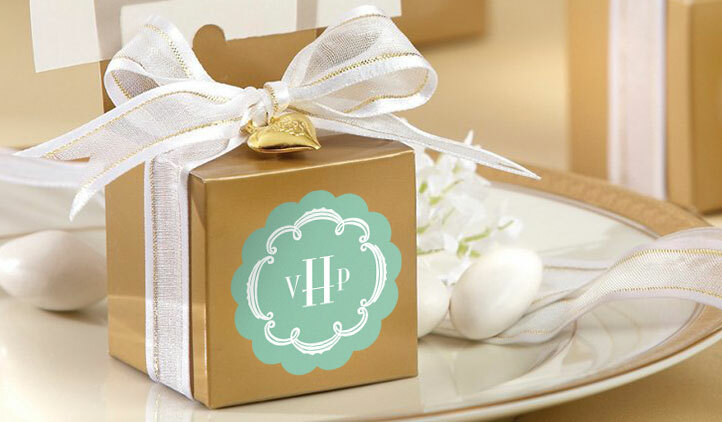 Stick tags directly on the gifts or favors, or stick them on the favor boxes, jam jars, or gift bags. Design your favor tags in any shape from squares, rectangles, fancy shaped, even hearts, or if you’re using a logo or a unique design, make the tags die cut to the image. If you’re including guests’ names on the tags, you’ll want to be able to make different stickers on each page. With StickerYou, you can! Using the classic sticker maker, design your artwork to your liking, then for as many as you need, each sticker can have a different guest’s name. Alternately, you can make your stickers as you want them, and then write on them later with a pen or marker! As Art Director at StickerYou, everyday I see plenty of orders from bride-to-be’s for wedding labels in all shapes and sizes. So imagine my excitement when my boyfriend finally proposed (after 7 years…seriously!) and it was my turn for all the fun! I’ve always been crafty and creative, so having the many custom products from StickerYou at my disposal was sure to be invaluable. Sorry brides-to-be, mistakes happen and your ingenious ideas and careful planning sometimes fall apart. While we can't ensure that goes smoothly on your big day, we can help ensure your wedding has some personal touches that will impress your guests. Greta: Think you've got the best boyfriend?